The job profile of the real estate agent has become very complex. For a long time brokers are no longer limited to simply proving real estate. They examine land and buildings, create market analyzes, examine object documents, analyze existing leases, provide valuable information on the purchase contract and help to find the right financing. 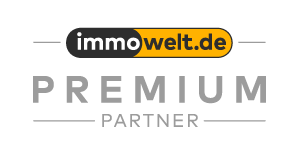 Nevertheless, there are still only small legal requirements for the job profile of the real estate agent in Germany, the term "broker" is not protected. This often makes it difficult for the layman to distinguish reputable, well-qualified service providers from "black sheep". The real estate association Germany (IVD) has put together a checklist that helps to identify a competent broker. Professional real estate agents know their market. They inform about prices, rents and market developments. They are already available in advance with expertise in the valuation of the property. They know the supply and demand of the respective real estate segment and look after buyers and sellers with transparent information about the real estate business. Competent brokers have extensive training and many years of practical experience. Each professionally working broker will therefore be able to present references to his previous work - that is, to refer to successfully mediated objects and satisfied customers. In order to find out how the previous clients of the broker judge its services, the new customer can have their addresses given to them and inquire about them. A reputable broker is willing to take time for the concerns of his clients and not just offload them with a few addresses. He will never work towards a contract under time pressure, but allow the customer a detailed examination of the offer. An alarm signal for customers are allegations of the broker, the right buyer or seller is already in the file and the successful sale only formality. A reputable broker will not object to the inclusion of outside help, such as an expert or lawyer. In addition, he will never convey a property without a viewing appointment. A professionally working broker talks with the client intensively about his personal wishes and needs as well as his economic situation, before he makes a first suggestion. He will take all objections of the customer seriously and warn him of risks. In no case will he demand advance payments. Reputable brokers know the fair market price for a property and can justify it. They warn customers against offering their house or property too expensive. Because when customers advertise their property at an unrealistically expensive price, it quickly becomes a storekeeper. In order to be able to sell the property later, the price often has to be lowered significantly below what could have been realistically demanded in the beginning. The broker should have a property damage liability insurance. Even qualified brokers are not immune from mistakes. In an emergency, something as simple as an overlooked number panner can have financial consequences of considerable proportions. Professional brokers therefore protect themselves and thus their customers against possible damages due to a breakdown, a mistake or an oversight. Brokers organized in the IVD are required to take out such insurance. A reputable real estate agent is a consultant who does not fool anyone into making a purchase or sale request quick and easy. He will look closely at where problems might be or emerge and will help to resolve them. Thus, for example, in condominiums in divorce declarations or rights of use sometimes hide complicated circumstances. Who wants to sell or buy a property, should be able to describe exactly how the broker intends to proceed and what activities he plans in detail. A good broker is able to give an accurate picture of the market situation. It will be its task to clearly identify the time periods involved in the handling of all formalities and the anticipated effort. A professional broker treats his client even after the successful conclusion of the purchase or lease contract as a customer and does not disappear immediately after payment of the commission from the scene. Rather, he will also help afterwards in case of problems. An important proof of quality for brokers is membership in a professional association such as the German Real Estate Association (IVD). The IVD obliges its members to attend regular training courses and seminars to keep up-to-date with the real estate. Every member of the association must pass a comprehensive entrance examination, in which the necessary real estate knowledge is checked. The customer should not be afraid to ask the broker for his education and training. Reputable brokers willingly provide information about this. In addition, IVD members must provide proof of the conclusion of a financial loss liability insurance.